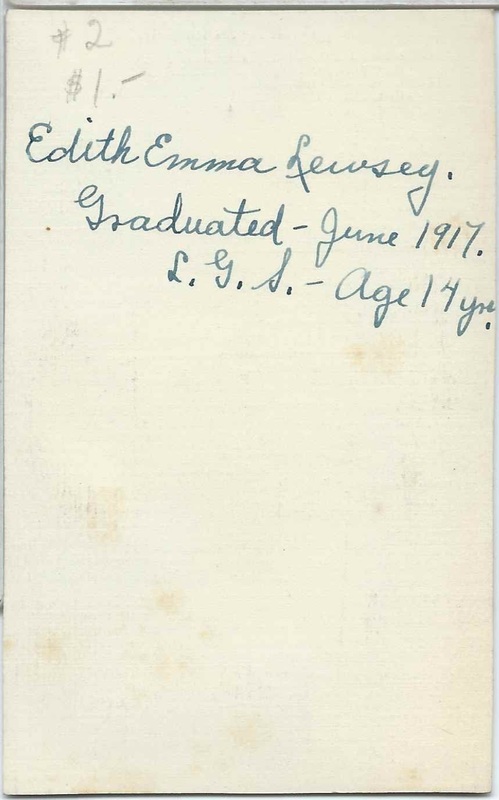 1917 photograph of Edith Emma Lewsey on the day of her graduation from L.G.S., at the age of 14. L.G.S. was presumably Lyndon Grammar School or Lyndonville Grammar School. Edith Emma Lewsey was born November 9, 1902 at Lyndon, Vermont, the daughter of Charles Arthur Lewsey and Harriet Isabel (Densmore) Lewsey, who were born in England and Vermont, respectively. 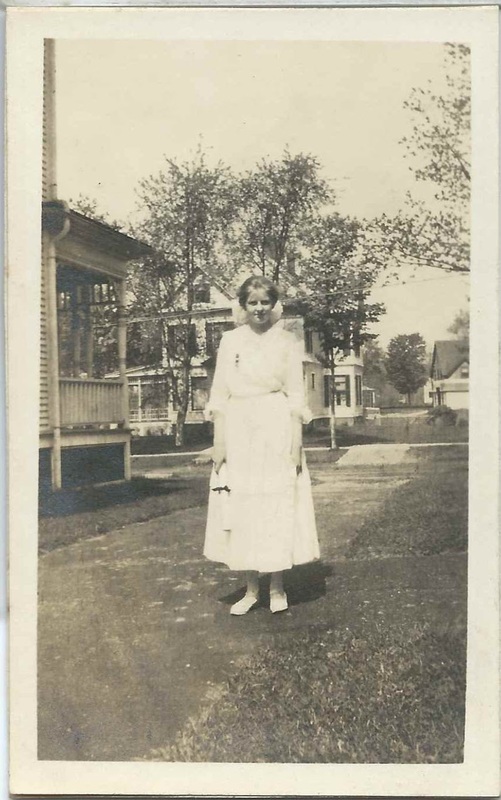 In 1925 at Chester, Vermont, Edith married Maurice Franklyn Way, son of William C. Way and Elva (Corliss) Way. Maurice was born July 12, 1898. Edith and William had, I believe, at least two children. Edith died in 1985, as the result of a fall down the stairs at her home. Maurice had predeceased her in 1984. They're buried in the Lyndon Center Cemetery at Lyndon, Vermont.